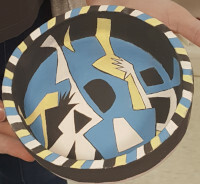 Click here to see examples of the art created by RSS members. Practice watercolor painting every week in a studio with great light, plenty of table space, a comfortable atmosphere, and a sink! 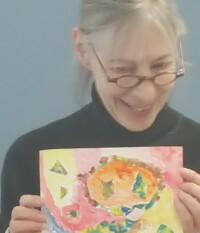 Art instruction with April Lombardi is scheduled for approximately every other week. Bring your own watercolors, brushes, and paper. INSTRUCTOR: April Lombardi, MS Art Education; BA Fine Art, Queens College CUNY. April is an rtist and designer from California, began her professional career in art in 1974. Taught fine art, art history, and digital media at LaGuardia High School of Music & Art and Performing Arts, NYC 1985 - 2016. "I love this class. It brings out in me the beauty of art and my personal creations." "April is a marvelous teacher, always helpful and encouraging. She is extremely knowledgeable and always extra prepared. She always has ideas and has helped me enormously." "April is very knowledgeable, inspirational and above and beyond prepared for classes. She is encouraging to all students and we are very lucky to have her as a teacher." important considerations in the construction of her talks. 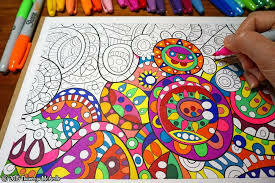 Coloring in books helps you to relax and unwind into the wonderful world of art. Great for any age. INSTRUCTOR: Facilitated by Maritza Silva. Mixed media is an artwork in which more than one medium or material has been employed. 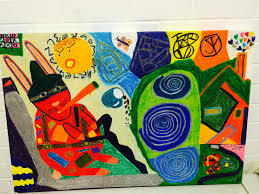 Assemblages and collages are two common examples of art using different medias that will make use of different materials including cloth, paper, and/or wood. Come in and start sculpting and producing your own pieces. Kiln on-site. Workshop that invites you to express yourself in many different media. Discover the creativity and talent you didn't know you had! INSTRUCTOR: Donna Diamond was born and raised in New York City. She attended Boston University School of Art and received a BFA in Sculpture. Ms. Diamond is a recipient of the 2017 NYSCA/NYFA Artist Fellowship, and was selected as a Gregory Millard Named Fellow. She is also a 2017 recipient of an AE Ventures Foundation grant in recognition of the breadth of her artistic work. She is a four-time winner of the BRIO Award from the Bronx Council on the Arts in the categories of Drawing, Printmaking, and Book Arts. Student Comments on Donna Diamond: "This class is exciting. The teacher makes us think about painting as never before." "A fabulous, sensitive, receptive teacher who keeps class attention and keeps track of each students development. Great!" "Donna challenges you while also being extremely supportive. 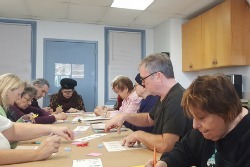 The class is enjoyable and also expands your artistic mind." " Donna gives us room to experiment and find our own voices." This is a 6 session class starting August 9 and will use watercolor as a sketching tool. Students should bring their own watercolor paint sets and watercolor paper to each class. In September the class will take a trip to the beach to sketch on site.